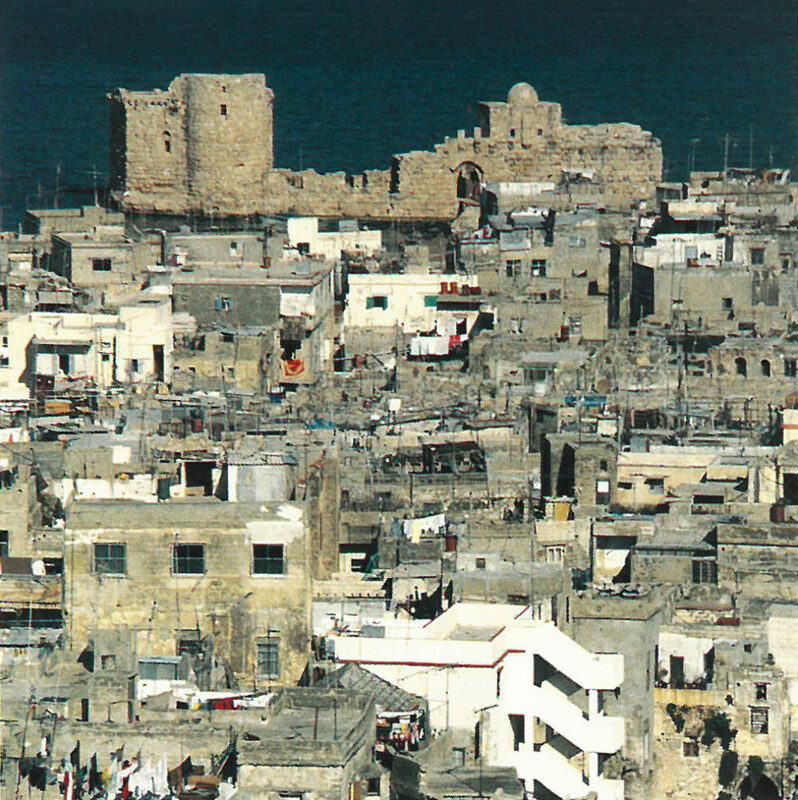 Located at about 48 km from Beirut, Sidon (also known as Saida) is the third largest city in Lebanon. 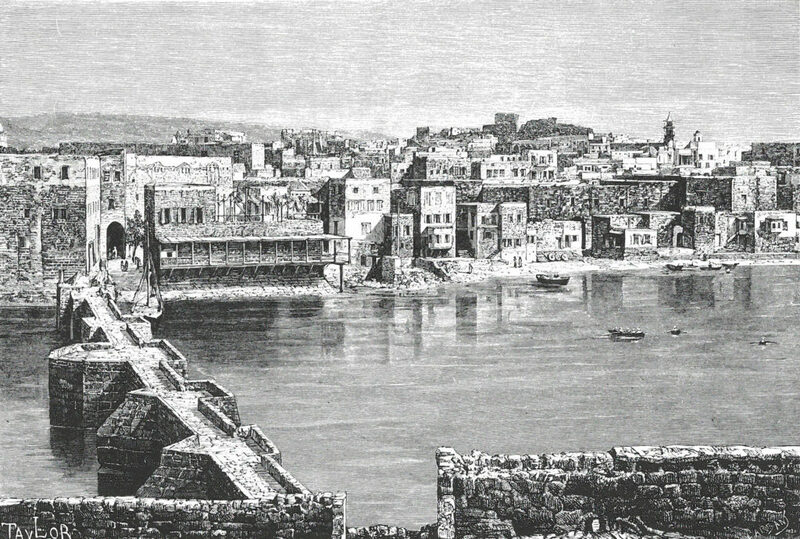 Considered as an important city of Phoenician Empire and with a history that dates back to 4000 B.C, the etymology of the word “Sidon” derives from the word “fishery”, or “fishing town”. 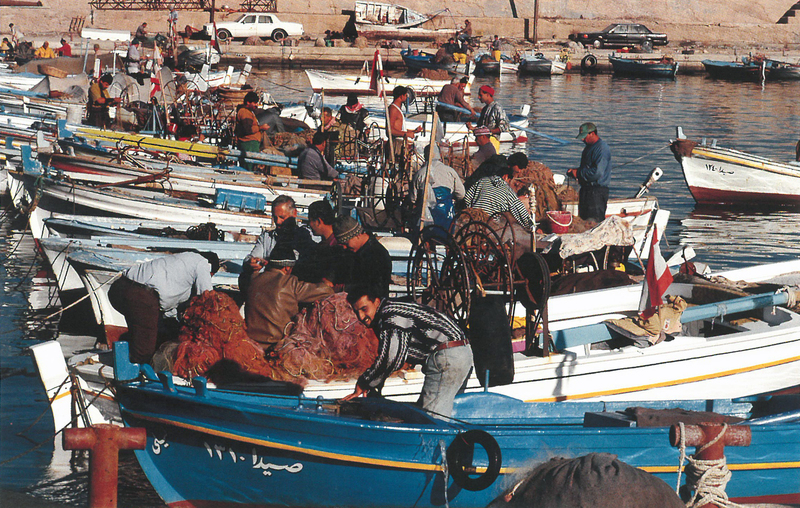 For many of Sidon’s inhabitants, the fishing port and the marine activity have always been the main source of their income. 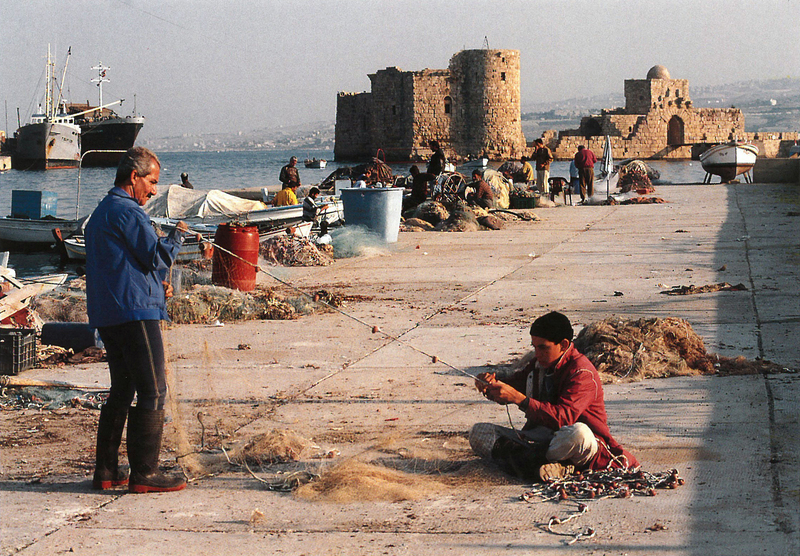 During centuries, the fishing port was gradually getting blocked with sand and debris. 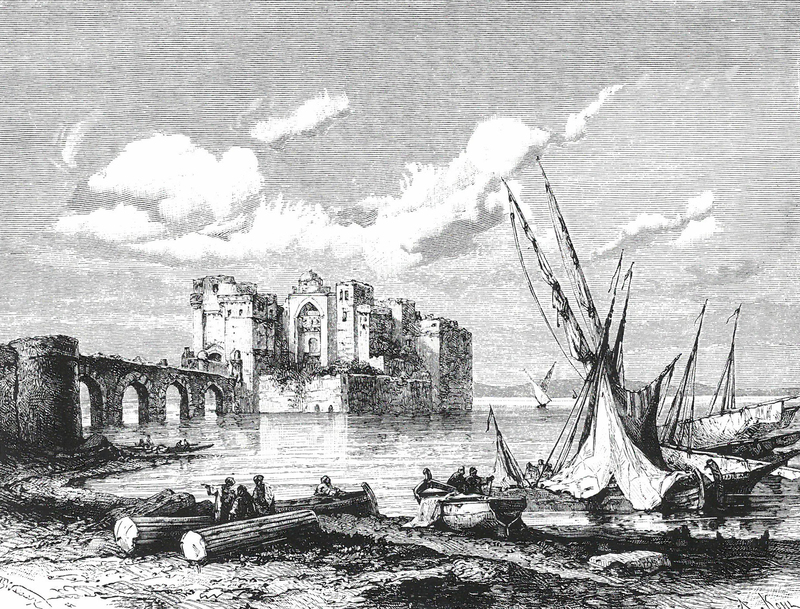 In the 13th century (specifically between years 1227 and 1228), the Crusaders came and built a castle on a small island dominating the sea. It is said that this island was formerly the site of a Phoenician temple. 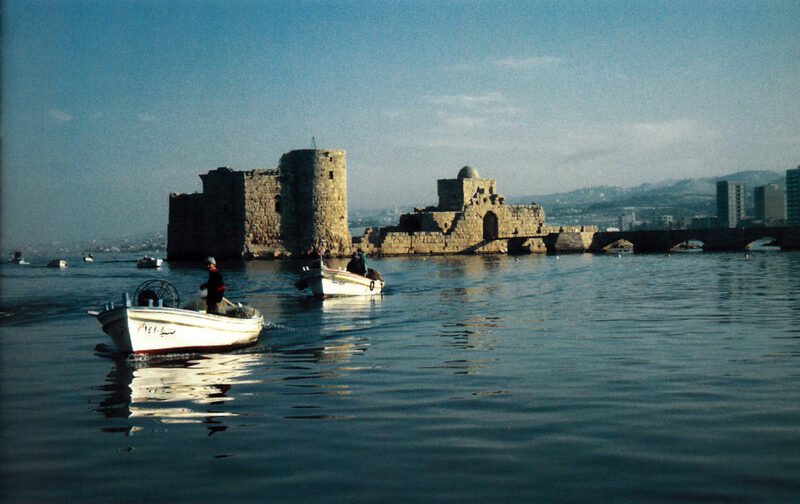 With an aim to defend Sidon’s harbor, the sea castle (also known as the sea fortress) is one of the most prominent archaeological sites in the city. 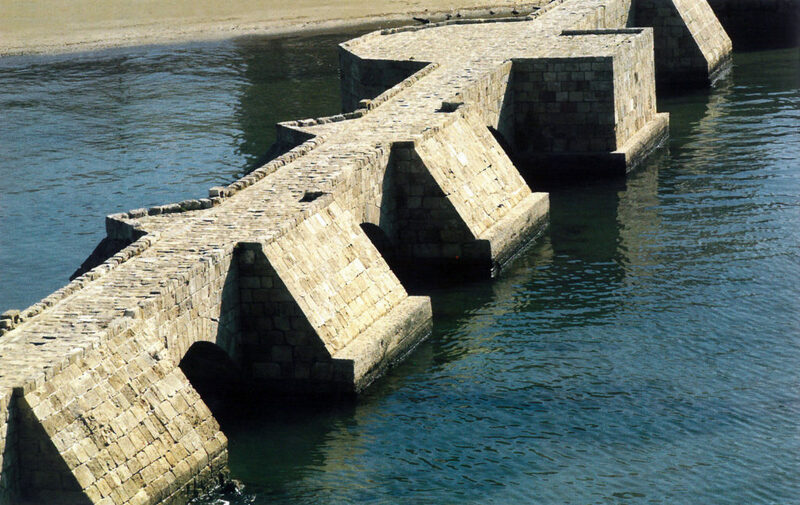 It is connected to the mainland by a narrow but fortified 80 m long causeway built on nine arches, that was later added by the Arabs to provide access to it. 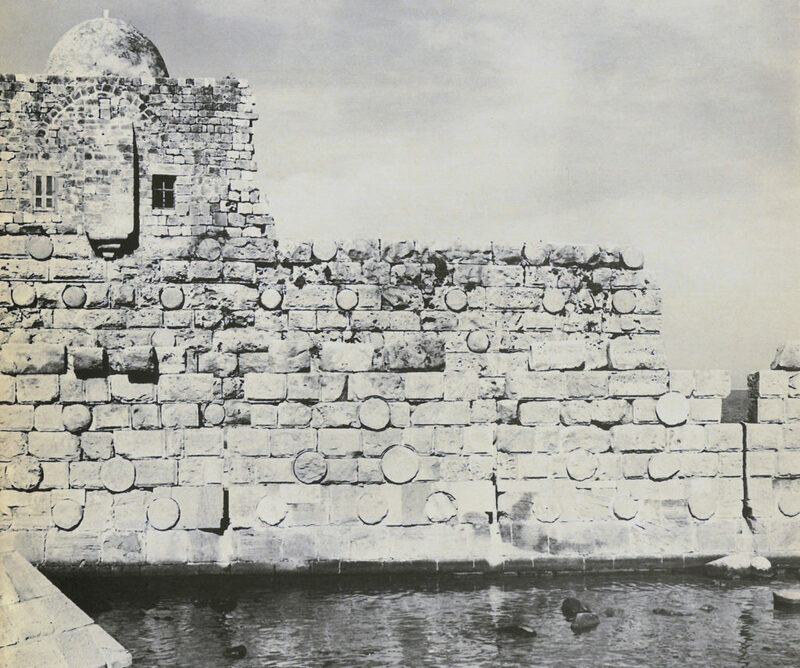 With an aim of providing protection against the swelling of the sea, the Sidonians built walls along the natural rocky reef. 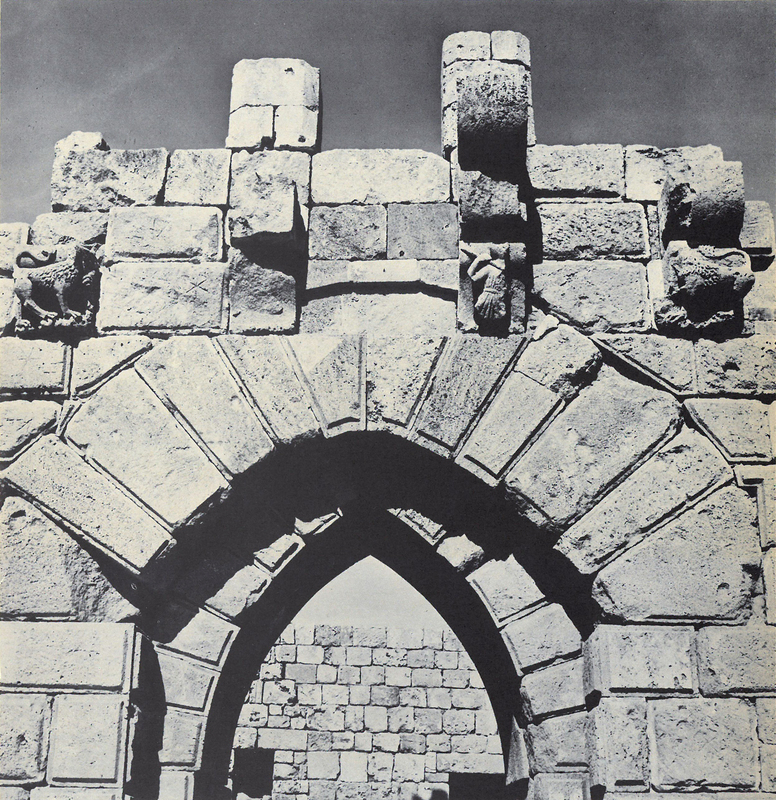 The typical architecture of the Crusaders however was mostly represented by the Roman columns that were used in the outer walls to reinforce horizontally. 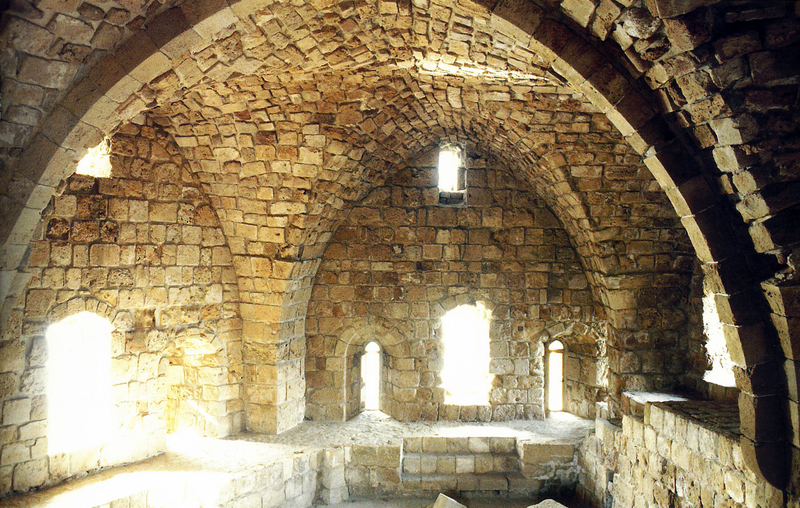 Primarily, the sea castle consists of two chambers, one of those chambers is the West tower which is best preserved today. Sadly, the East tower is not very well preserved. 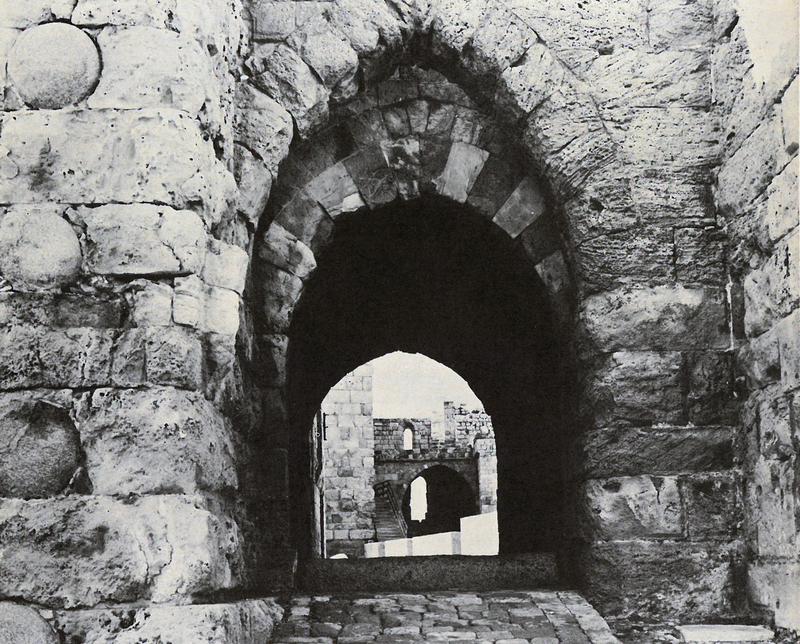 It was constructed in two phases where the lower part was built by the Crusaders and the upper one by the Mamluks. 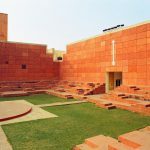 The two towers are connected by a wall. To the right of the porch lies a small domed mosque whose origin is probably Ottoman. Known as “Masjed Qalaat el Bahr”, the mosque is a simple cubic form topped by a central dome. 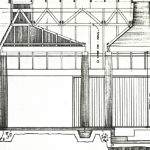 However, the most important element of the dome is the cantilevered part that indicates the correct direction of prayer. Finally, a staircase connects up to the roof, which offers in turn great vistas of the fishing harbor and the old part of the city. Durante siglos, el puerto pesquero se fue creando gradualmente mediante arena y escombros. 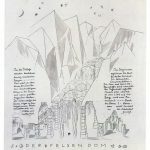 En el siglo XIII (específicamente entre los años 1227 y 1228), los Estados Cruzados (también conocidos como Estados Latinos de Oriente) llegaron y construyeron un castillo en una pequeña isla que dominaba el mar. Se dice que esta isla anteriormente albergó un templo fenicio. 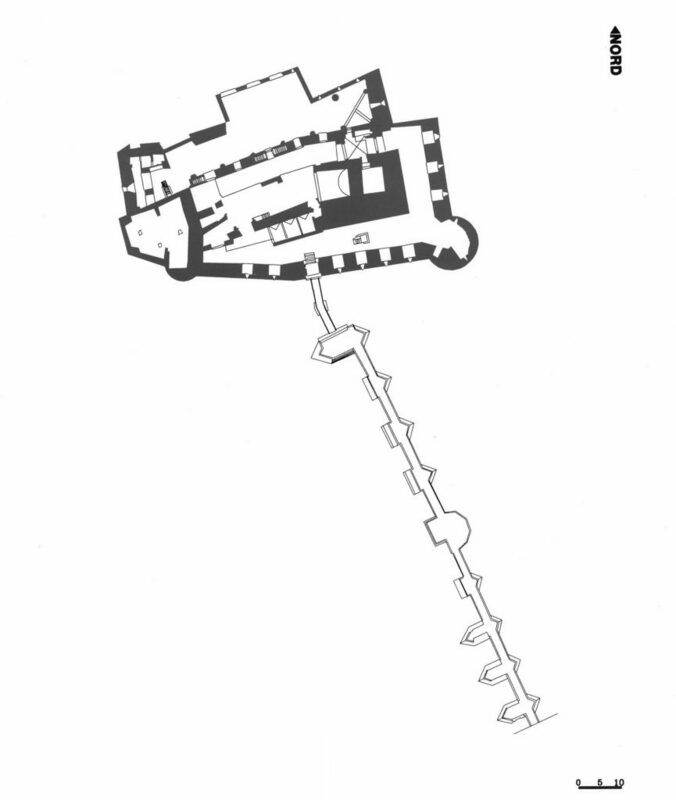 Con el objetivo de defender el puerto de Sidón, el castillo del mar (también conocido como la fortaleza del mar) es uno de los sitios arqueológicos más destacados de la ciudad. 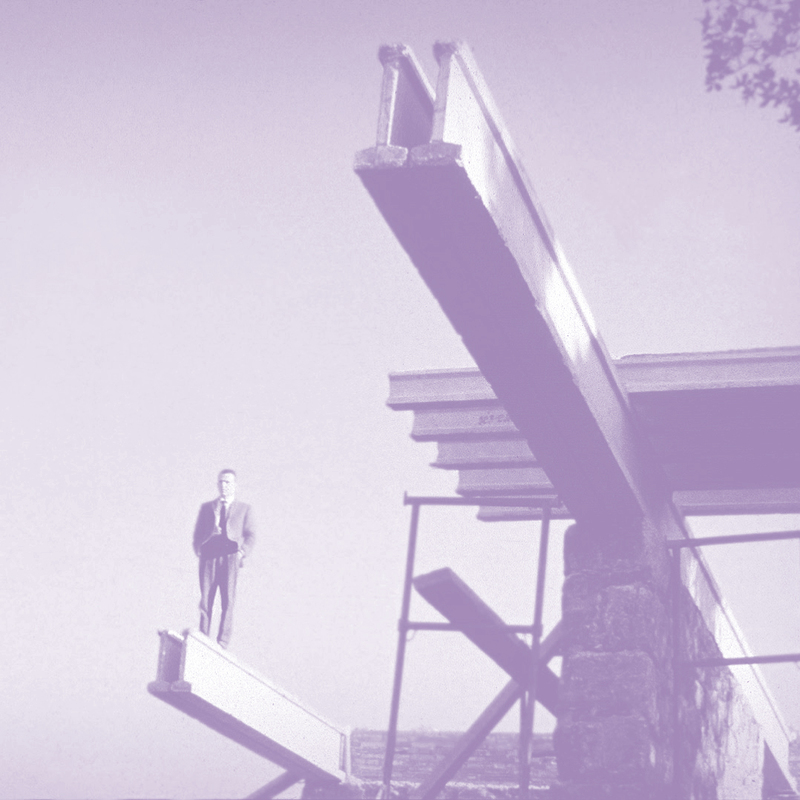 Está conectado a tierra firme por una calzada angosta pero fortificada de 80 m construida sobre nueve arcos que se construyó posteriormente por los árabes para proporcionar acceso a la isla. Con el objetivo de proteger las islas de las embestidas del mar, los sidonios construyeron muros de piedra alrededor del arrecife natural. 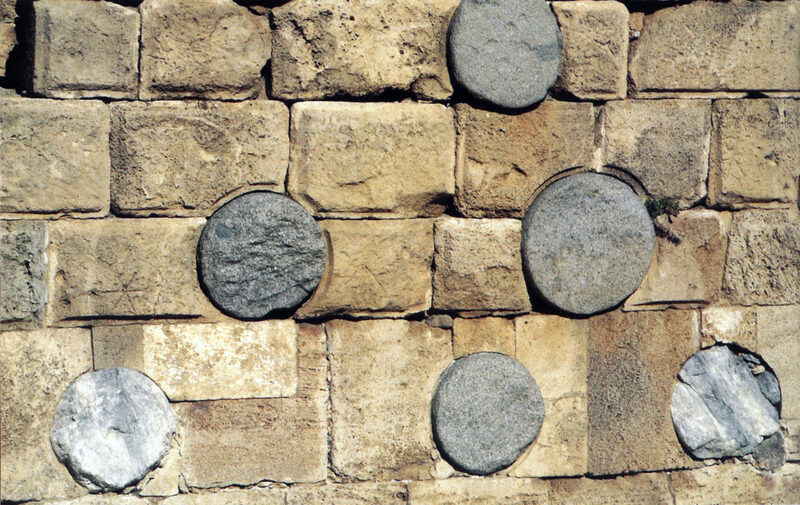 Al entrar a la fortaleza, uno puede observar La arquitectura típica de los Cruzados se observa en las columnas romanas que fueron construidas en los muros exterior para reforzar horizontalmente la estructura. El castillo de mar consta de dos cámaras, una de esas cámaras es la Torre Oeste que se conserva mejor en la actualidad. Lamentablemente, la torre este no está muy bien conservada. Fue construido en dos fases donde la parte inferior fue construida por los cruzados y la superior por los mamelucos. Las dos torres están conectadas por un muro. A la derecha del porche se encuentra una pequeña mezquita con cúpulas cuyo origen es probablemente otomano. 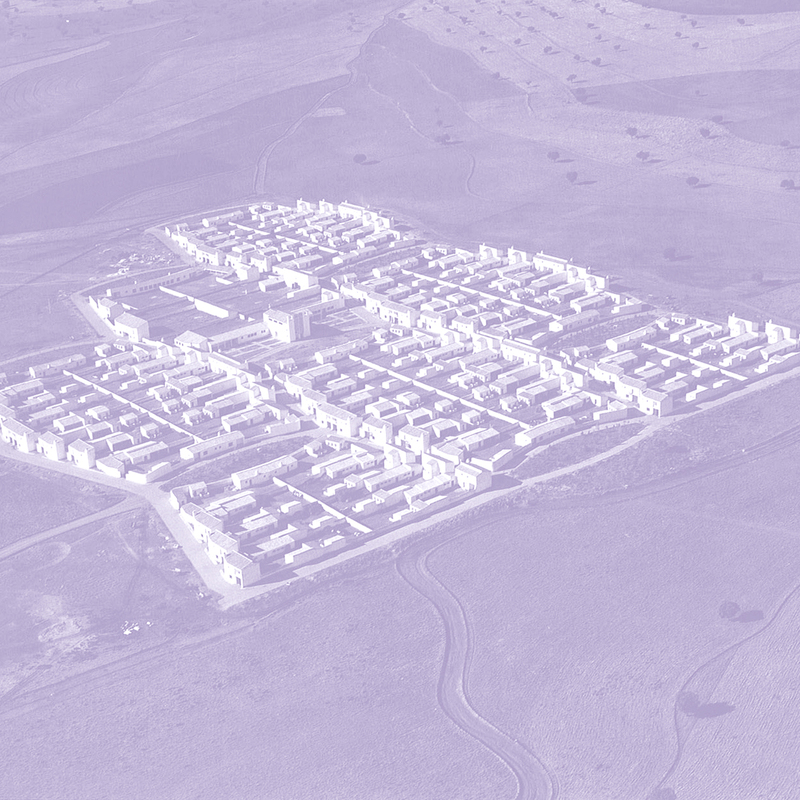 Conocida como “Masjed Qalaat el Bahr”, la mezquita es una forma cúbica simple rematada por una cúpula central. Sin embargo, el elemento más importante de la cúpula es la parte en voladizo que indica la dirección correcta de la oración. Finalmente, una escalera se conecta hasta el techo, que ofrece a su vez grandes vistas del puerto pesquero y la parte antigua de la ciudad. 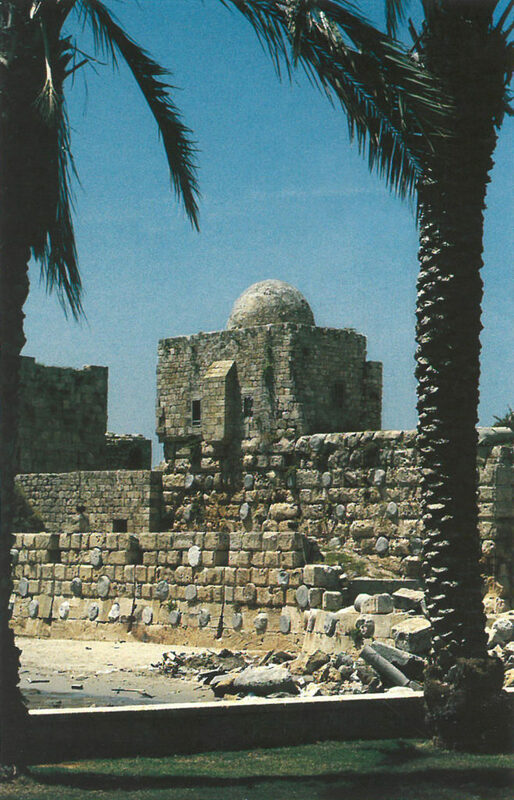 Unfortunately, the sea fortress was destroyed by the Mamluks in 1291, when they took over the city from the Crusaders, and was renovated by Prince Fakhreddine in the 17th century. When the water is calm, one can clearly detect the remains of the rose-granite columns, recovered from Roman buildings, sinking in the shallow sea floor. Additionally, around the fortress, statues, cisterns, and structures of walls, columns, and stairways buried under the sea show evidence of the Old Phoenician city. 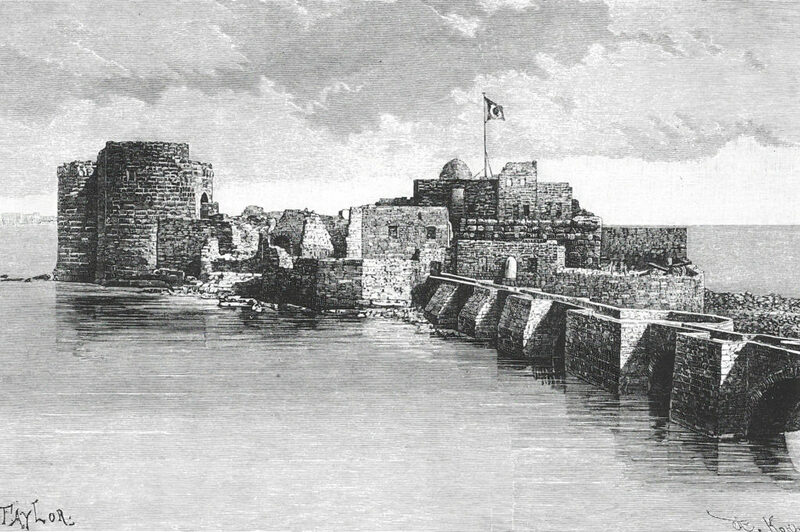 Desafortunadamente, la fortaleza del mar fue destruida por los mamelucos en 1291, cuando tomaron la ciudad de los cruzados y fue renovada por el Príncipe Fakhreddine en el siglo XVII. Cuando el agua está en calma, se pueden detectar claramente los restos de las columnas de granito rosa, recuperadas de los edificios romanos, que se hunden en el fondo marino poco profundo. Además, alrededor de la fortaleza, estatuas, cisternas y estructuras de muros, columnas y escaleras enterradas debajo del mar muestran evidencia de la antigua ciudad fenicia. 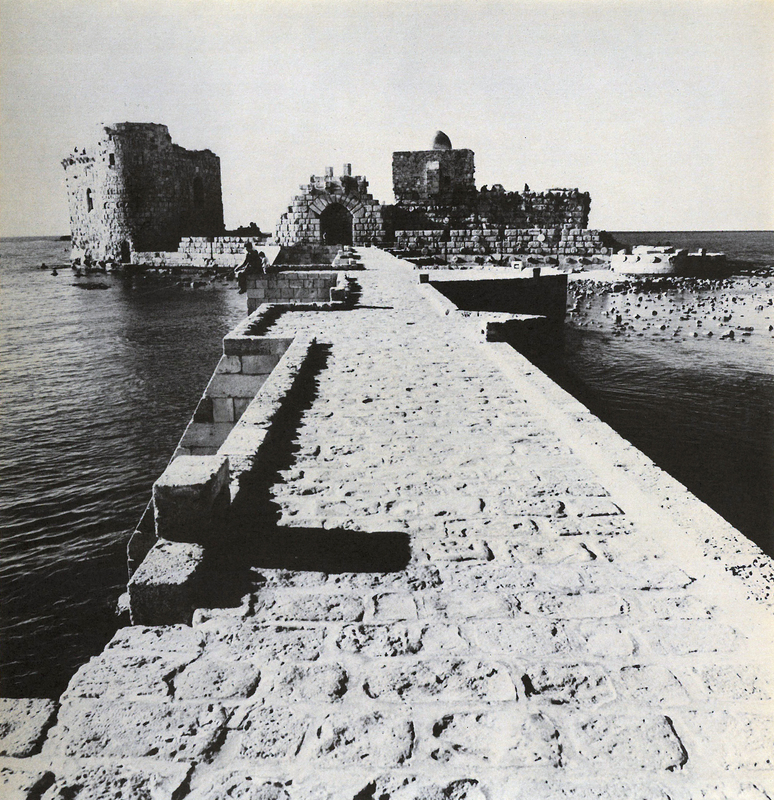 Despite the decay, Sidon’s image continues to be associated today with its picturesque sea fortress, since it remains to be the city’s main attraction. 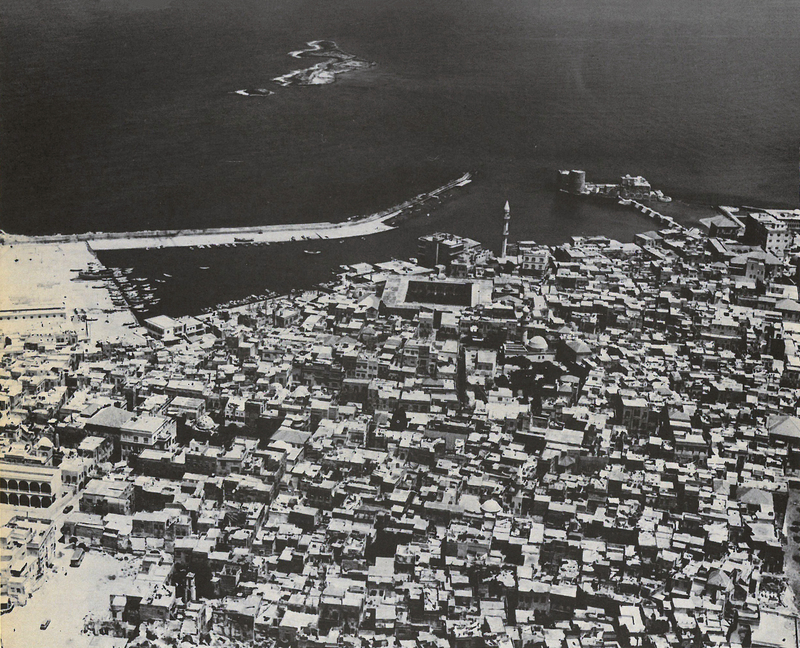 However, what is particularly interesting about it is that it belongs to the Lebanese waterfront. 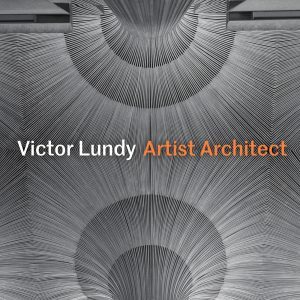 Its formation derives from an archaeology of superpositions, with a historical layering that does not necessarily imply the transformation of its physical context, but on the contrary, appears as in a stratigraphic archaeological plan. 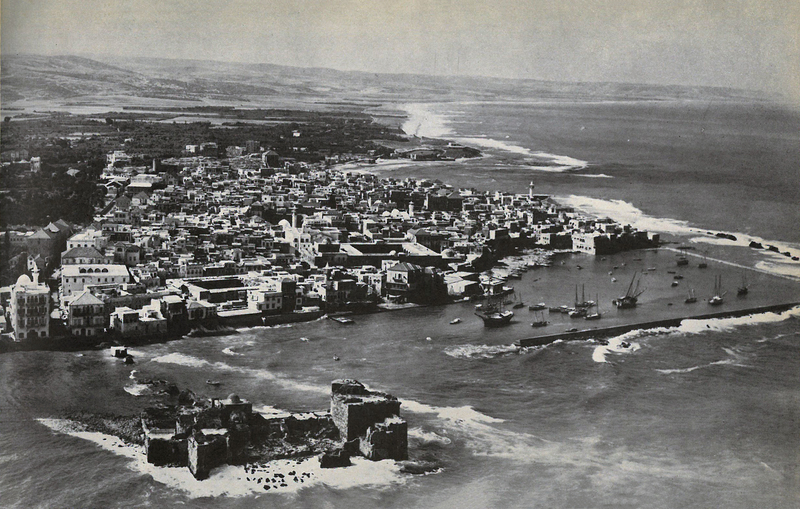 Its configuration is embedded within its geographic location (the sea), and such fusion makes it possible to define the borders between the history of Sidon and the process of sedimentation that it has underwent through the years. 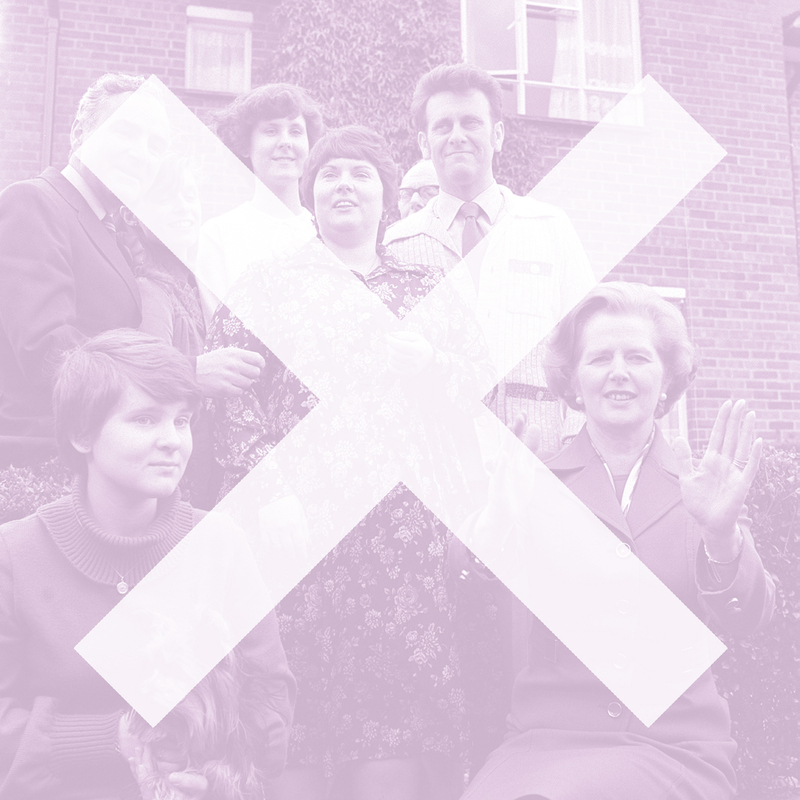 What makes it stand out it, however, are the different layers of stratification that initially compose it. 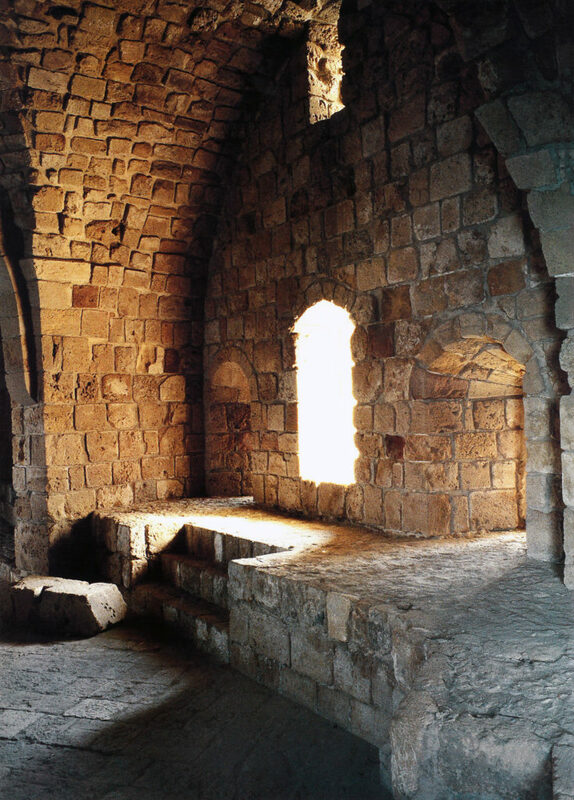 It was built by the Crusaders, has endured several wars and natural earthquakes, and was rebuilt several times. With time, these layers have become cartographic infrastructures that coexist within each other, but within a sedimented historical palimpsest. A pesar de su decadencia, la imagen de Sidón continúa asociada hoy con su pintoresca fortaleza marina que sigue siendo la principal atracción de la ciudad. Sin embargo, lo que es particularmente interesante es que pertenece a la costa del Líbano. Su formación se deriva de una arqueología de superposiciones, con una estratificación histórica que no necesariamente implica la transformación de su contexto físico, sino que, por el contrario, aparece como en un plan arqueológico estratigráfico. Su configuración está incrustada dentro de su ubicación geográfica (el mar), y dicha fusión permite definir los límites entre la historia de Sidón y el proceso de sedimentación que ha sufrido a través de los años. Lo que lo hace destacar, sin embargo, son las diferentes capas de estratificación que inicialmente lo componen. Fue construido por los cruzados, ha sufrido varias guerras y terremotos naturales, y fue reconstruido varias veces. 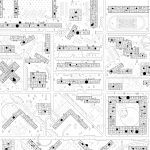 Con el tiempo, estas capas se han convertido en infraestructuras cartográficas que coexisten unas con otras, pero dentro de un palimpsesto histórico sedimentado. Gioia Sawaya is an architect based in Lebanon. She holds a B. Arch from NDU, Lebanon and is currently pursuing her master degree studies in IE, Madrid. 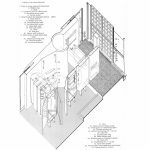 Her current research interests look into the intersections between design, technology, and sociology that are transforming the way people live today.